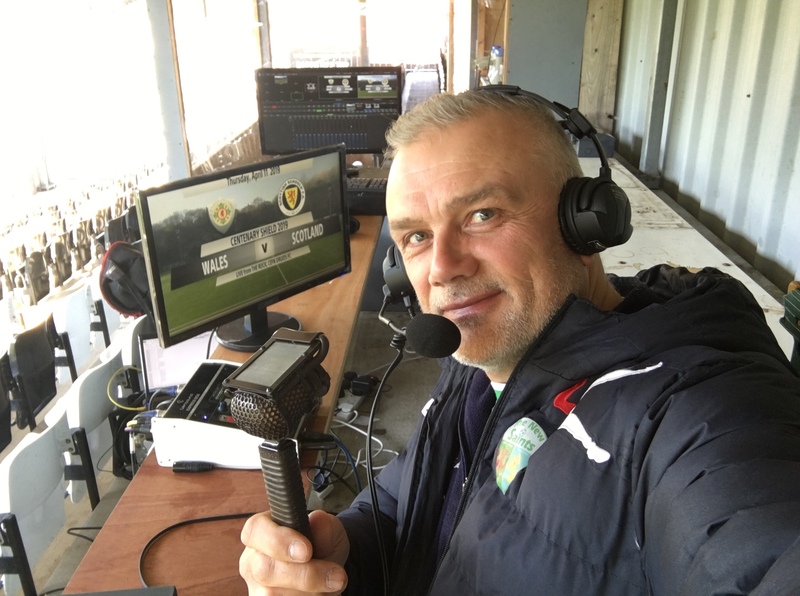 It was a very pleasant surprise when I received an email from Marc Lloyd Williams, asking if I was available to commentate at the Wales v Scotland U18s Schoolboys Centenary Shield game. As well as being a (now retired) Welsh Premier League football legend, Marc is also the manager of the Wales U18s. It was a pleasure to accept and then to link with Chris, the cameraman on the night with 247 TV, who were covering the game from that angle. The result wasn’t what Wales wanted but well done to Scotland, who I thought had some excellent individual and team performances and on the balance of play deserved the three points. You can watch the video below that includes some of the Scottish anthem. Not the Welsh one though as I was singing along to that. Although I’m English, I’m very proud of my Welsh roots. Mae hen wlad fy nhadau. The land of my fathers, indeed.